One Sunday in 2007 Mason Currey was sitting alone in the office of his employer—an architecture magazine—trying (and failing) to finish an article that was due the next day. 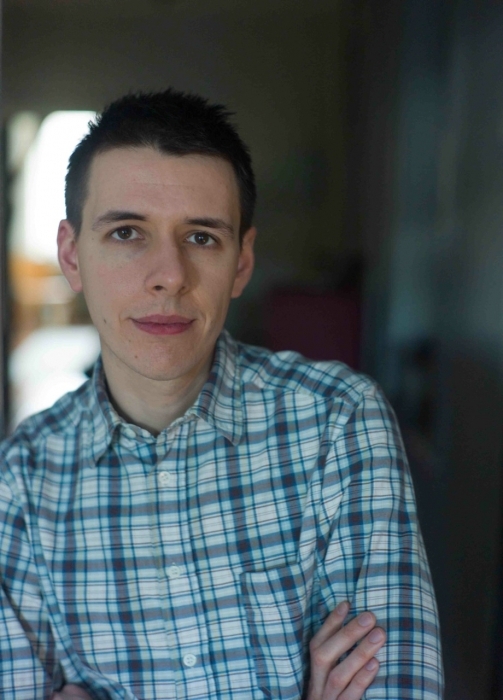 Instead of getting down to business, he compulsively tidied his cubicle, made Nespresso shots in the kitchenette, and began searching the Internet for information about other writers’ work schedules. The looming magazine article was “written in a last-minute panic the next morning,” but Currey’s Daily Routines blog, a site compiling the work habits of artists was launched that very afternoon. Procrastination takes many forms, and apparently, even has its occasional rewards. 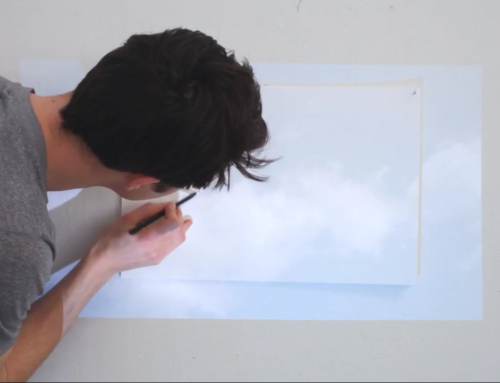 In an ironic twist for Currey, a project that started as a distraction from writing has been transformed into a new book from Random House, Daily Rituals: How Artists Work. Using letters, biographies, anecdotes, interviews, and diaries, Currey examines the creative routines of 161 writers, visual artists, choreographers, composers, filmmakers, scientists, and philosophers. Currey’s collection is full of entertaining and revealing anecdotes about everyone from Marina Abramovic, to Erik Satie, to Oliver Sacks and Jane Austen. While I was shocked to learn that Nikola Tesla regularly demanded 18 clean napkins at his table each evening when he dined at the Waldorf-Astoria, I wasn’t surprised that Currey’s research didn’t uncover a single “magic-bullet” creative routine used by successful artists everywhere. 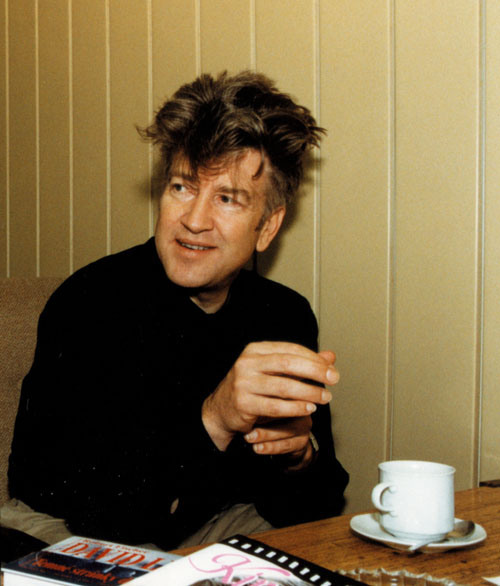 Caffeine addiction seems to be the one habit most artists have in common. It’s not only the caffeine that’s important, it’s also the ritual of making that perfect cup of coffee or tea. Such rituals make me think of a turkey vulture circling over a dead possum in the road. The turkey vulture knows precisely where its next meal is coming from, just as the artist knows what will happen as soon as the coffee is consumed, the daily walk finished, and the email alerts turned off: work. But circling is an essential part of the creative process. The impulse to procrastinate is strong, but these “circling” rituals allow us the luxury of delaying just a little longer and send a signal to our bodies and minds (and perhaps even to others in the vicinity) that it’s time to get busy. These kinds of creative routines are also useful when our energy lags or we become stuck. Studies show that mental relaxation and a rise in dopamine levels aid the creative process. (This is why it’s not always more productive to push through and continue work when our body demands a break). Currey’s book is brimming with examples of artists who know how to get the most out of a work day. Composer Steve Reich runs errands or makes a cup of tea when he needs a break. “Those can be very fruitful pauses, especially if there’s a little problem that comes up,” says Reich. “The best thing to do is to just leave it and put your mind somewhere else, and not always but often the solution to that problem will bubble up spontaneously.” When Woody Allen is “obsessively thinking” about a new story and feeling stuck, he finds that taking a shower or going for a walk gives him “a fresh burst of mental energy.” Igor Stravinsky preferred headstands when he needed to clear his head. Discipline in the form of an effective routine may be the best way to get over the psychological barriers to creation. “You need three things to become a successful novelist: talent, luck and discipline,” the writer Michael Chabon once said. “Discipline is the one element of those three things that you can control, and so that is the one that you have to focus on controlling, and you just have to hope and trust in the other two.” This is why we feel so guilty when we’re cruising Facebook or Twitter, instead of making art—we are painfully aware that discipline, an essential lifeline, is slipping away. But as Currey’s book proves, “discipline” comes in many forms. 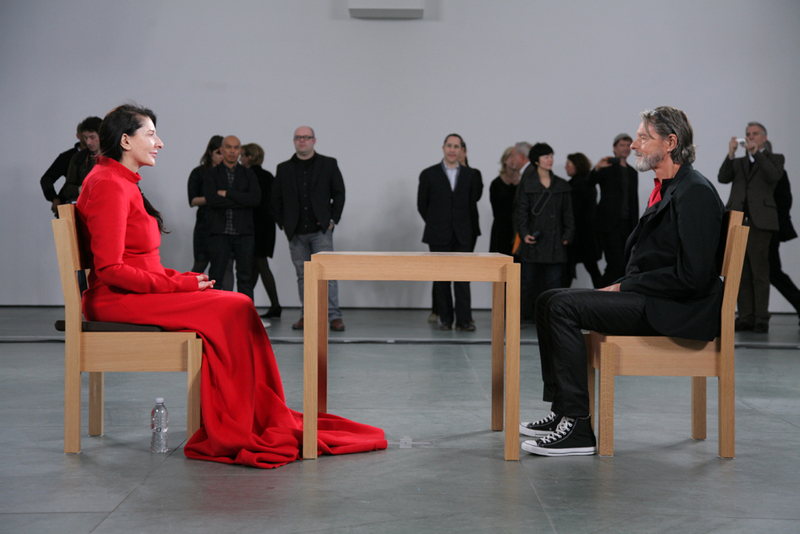 In the case of performance artist Marina Abramovic, ritual is her art. Currey describes the extreme regiment she underwent for The Artist is Present at MoMA, a performance piece that required her to sit motionless and silent in a chair six days a week for eleven weeks total (736 hours and 30 minutes in all). Abramovic trained her body to go all day without food and without urinating by getting out of bed every 45 minutes at night and drinking a small amount of water. “In my personal life, if I don’t have a project, I don’t have any discipline,” says the artist. 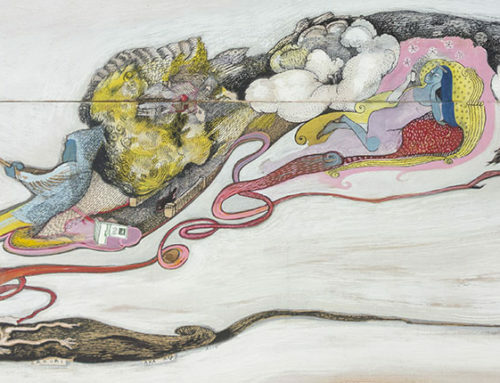 Discipline and daily ritual were one of the subjects of her 2002 piece The House with the Ocean View. 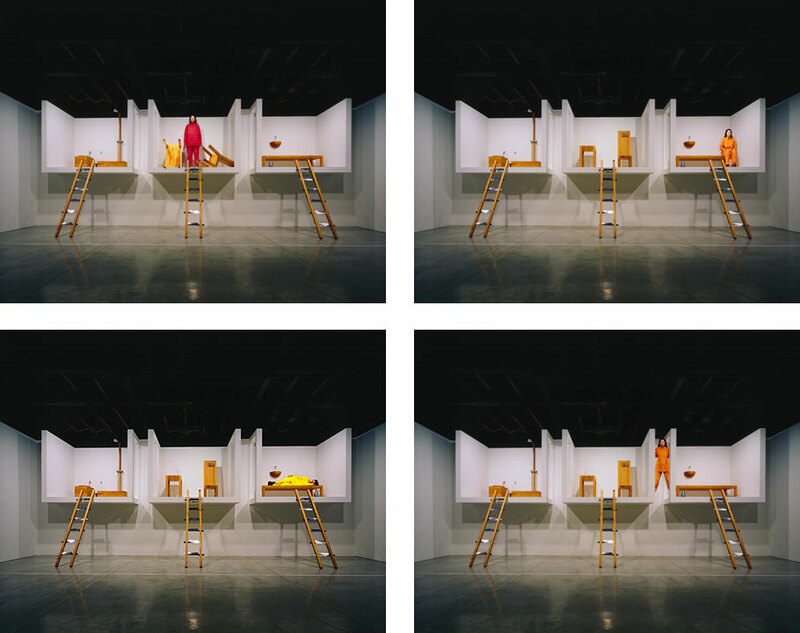 For this work, Abramovic spent 12 straight days living on three open platforms in the Sean Kelly Gallery in New York. 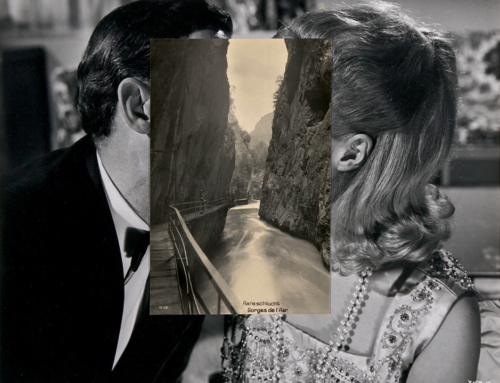 She did not eat or speak, nor did she have any privacy: the rooms were open and spectators were invited to observe the artist through a high-powered telescope. She had no escape: the ladders leaning against bedroom, sitting room and bathroom had rungs made of large butcher knives. [But] I can find time in performance. And there I am most in connection with Buddhism. At the same time, the impact this kind of piece has comes after. I feel transformed. I my point of view, life is not transforming me, it’s performance that transforms me. These stories are insightful and amusing, but what interests me most about Currey’s compilation are deeper questions about creativity and daily life. Getting past the peculiarities of personal schedule—the daily word quotas, the naps, the strange eating rituals, and coffee addictions—what can we learn about balancing creative work, family, day jobs, and health? Can we really have it all as artists, or must something be sacrificed in the name of art? Surely, it’s possible to be an artist and still live a functional, fulfilling life? Must something (or someone) always be sacrificed on the altar of the creative process? As I’m sure you noticed, many of the figures in the book made huge sacrifices for their work. I’m thinking, for instance, of Samuel Beckett, who did much of his best work during a period described as “the siege in the room”—because he pretty much spent all of his time shut in his bedroom obsessing over his writing, subsisting on a diet of scrambled eggs and red wine. So it’s easy to conclude that if you want to be a great artist you have to give something up. I certainly have felt that way in my own life. I compiled this book while also working a full-time job as a magazine editor, and you quickly realize that you can’t do it all—sometimes you have to sacrifice sleep, or your social life, or exercise, or having a clean house, or any number of other things. Alice Munro…managed to write her short stories while raising two kids, sneaking in work while the kids were napping or at school. So that seems like a pretty decent balance. But this also meant laboring in obscurity for many years; it took her almost two decades to write the stories for her first collection. I’m sure that a lot of writers in similar circumstances would have gotten discouraged and given up. Ultimately, I think very few writers and artists work in ideal circumstances, and everyone has to figure out their own balancing act. I‘ve written about Alice Munro’s balancing act between motherhood and writing previously, and her circumstances recall the concerns of Virginia Woolf in her famous essay A Room of One’s Own. 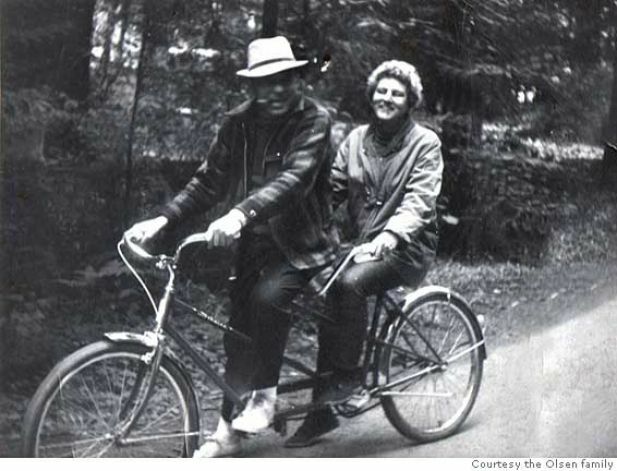 This gender gap was also explored in Tillie Olsen‘s work Silences. The book examines authors’ silent periods, including unpublished work, writer’s blocks, and the problems that working-class writers, and women in particular, have in finding the time to concentrate on their art. 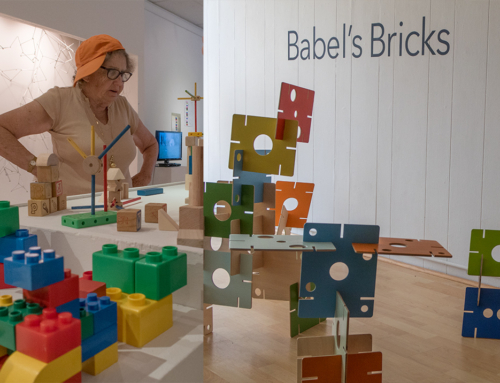 Olsen argues that circumstances, including gender, economic class, education, and race, determine whether creative capacity will be used and developed, or impaired and lost. According to Olsen, prior to the late 20th century, all the great female writers in Western literature either had no children or had full-time housekeepers to raise the children. 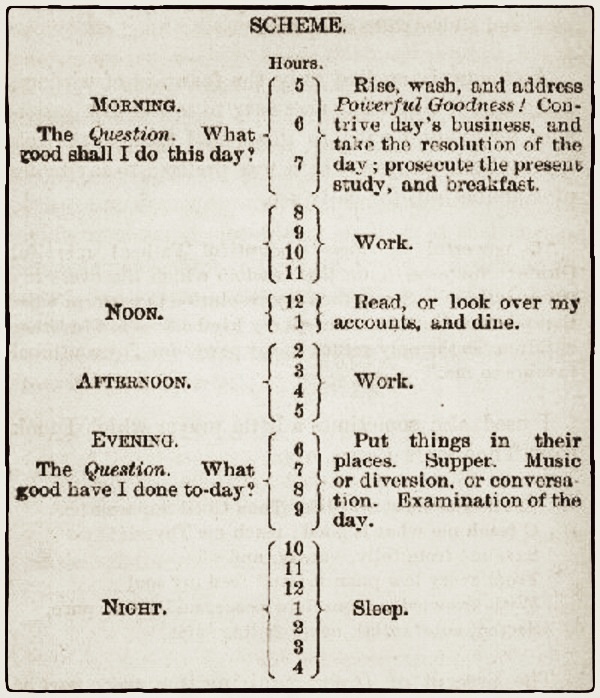 Benjamin Franklin’s ideal daily routine as it appeared in the original edition of his autobiography. It’s impossible to read these anecdotes without being struck by how many great writers and artists were hopelessly indebted to their spouses or partners for taking care of the practical details of their day-to-day lives. (I’m thinking, for instance, of Gustav Mahler, Karl Marx, Sigmund Freud, Gertrude Stein, Thomas Mann, many others.) I think it shows that the artists themselves weren’t the only ones making sacrifices; often their devotion to their work placed a tremendous burden on their families. And certainly this has made it more difficult, historically, for women writers and artists. I love the story about how Jane Austen would write in the family sitting room, and that she refused to get the squeaky door hinge fixed because it served as a warning for her that people were coming, and then she would hide her writing papers before the visitors arrived. It’s both inspiring that she could work in these conditions, and also sort of tragic that she couldn’t enjoy the sort of privacy that a male writer might have enjoyed. I don’t know if I have any great insights to share on this subject — except to say that, if you want to be a writer or artist, you’d do well to find a supportive, understanding spouse! Money is a lingering issue for many working artists. What is the best way for an artist to pay the bills? There are a select few who are able to make a living from their art, but most creatives have day jobs. Some artists gravitate to fields that are similar to their artistic medium, while others find that this wastes their creative energy, so instead pursue jobs that are a complete contrast. And employers take note: artists do not always make ideal employees. 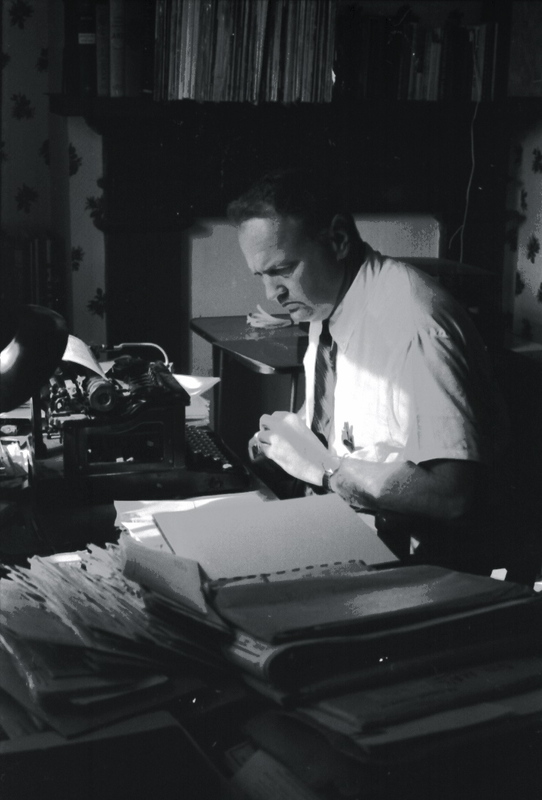 Georgia writer James Dickey made his living working for an ad agency in Atlanta at the beginning of his career. “Every time I had a minute to spare,” Currey quotes the poet, “…I would stick a poem in the typewriter where I had been typing Coca-Cola ads.” After several years of writing poetry on the clock, his boss fired him. On the one hand, it seems like artists almost inevitably have to give something up for their work. On the other hand, you know, if you only have a certain amount of time each day in which to be creative, it’s amazing how much you can get done in that time. So the people with day jobs, who could only spare a couple hours a day, were often as productive — or, in some cases, even more productive — than those figures who didn’t have to worry about money and could work whenever they wanted. I will say, however, that writers may have an easier time striking this balance than other artists. A novelist or poet can write for as little as an hour a day and make significant progress. 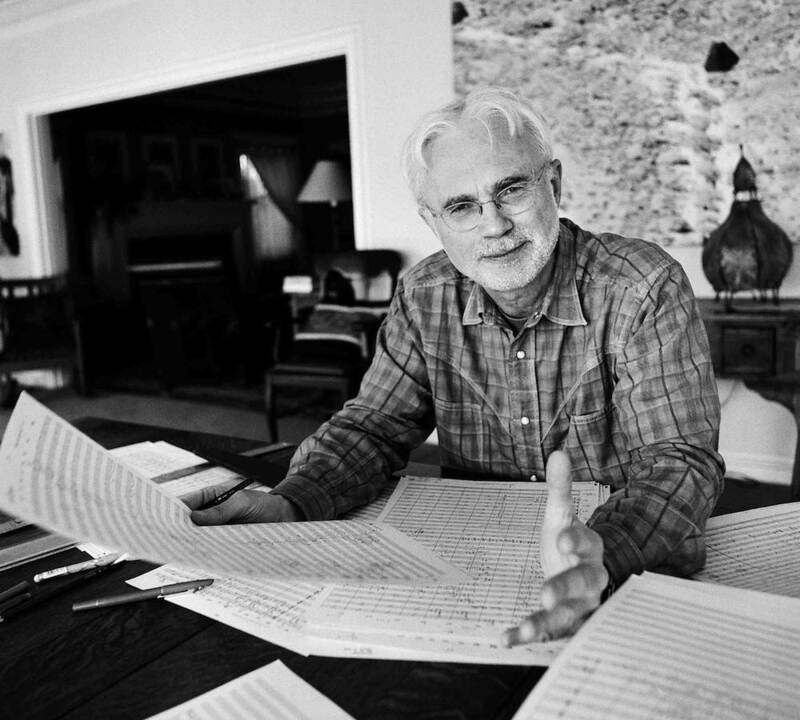 For the most part, painters and composers seem to need to spend more time with their work; fitting it in before or after a day at the office is trickier. For me, maybe the most interesting day job was Joseph Heller‘s career in magazine advertising. I would have assumed that the author of Catch-22 would have had little patience for this kind of commercial work. But Heller was far from miserable at his advertising jobs—he later called his Time colleagues the “most intelligent and well-informed people I worked with in my life,” and said that he put as much creative effort into a McCall’s promotional campaign as he did into his fiction at night. As Currey’s book proves, making art is hard work and only those willing to experience a special form of hell-on-earth should pursue it. The rejections, the self-doubt, the hours of solitude, of sitting at a computer, of stressing your body with the same repetitive motion, of saying “no” to friends and family when you really want to say “yes,” the deadlines, the anxiety, and yes, the ever-important self-discipline—these special forms of torture are not for the faint of heart. What daily habits and eccentric rituals help you be more productive in your creative work? 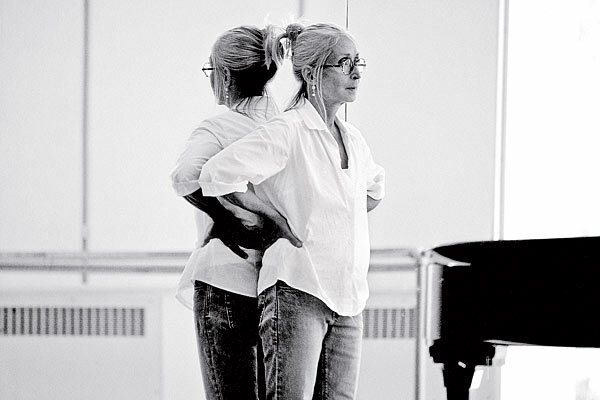 What struggles are you facing in your artistic practice? I’d love to hear from you in the Comments Section below. Gwarlingo is member supported and relies on contributions from readers like yourself to remain ad-free. Thanks to all of the readers who have contributed to the Gwarlingo Membership Drive. Instead of selling out to advertisers, I’m “selling out” to my readers instead! 150+ Gwarlingo readers have contributed so far and $12,800 of the $15,000 goal has been raised. If you haven’t donated yet, you can check out my video and all of the member rewards, including some limited-edition artwork, here on the Gwarlingo site. 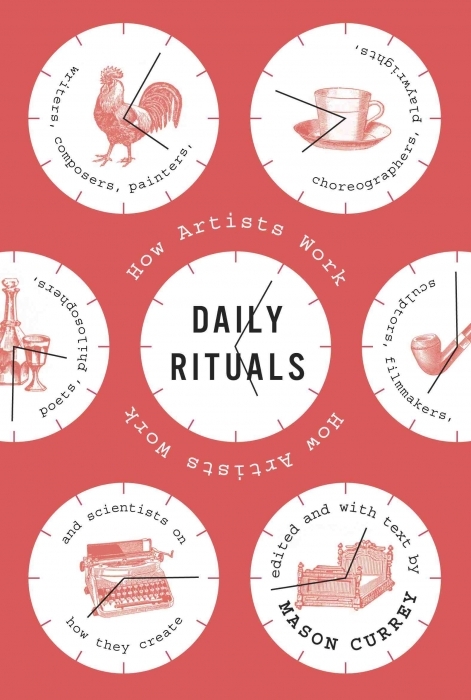 Note: A special thanks to Virginia Prescott at NHPR for passing along a copy of Mason Currey’s Daily Rituals: How Artists Work. I always enjoy reading about creative routines (“circling rituals”). The next time you visit, let’s make a batch of Kierkegaard’s coffee and see what happens. That made me laugh out loud, Colette. I’m game if you are. Question is, which cup will you choose? Nice quote, Nichola! It’s true that finding a romantic partner is hard enough without the extra burden of finding a partner who is compatible with the demands of a creative life. I’ve had a lot of conversations about this topic with artists through the years while working at the MacDowell Colony. I’ve seen many different models through the years…Sometimes artists have partners in entirely different fields, such as finance or computers or medicine or law. Having someone with a steady income and schedule provides stability of sorts and often allows the creative spouse more freedom. The downside is an occasional “knowledge gap” between partners. 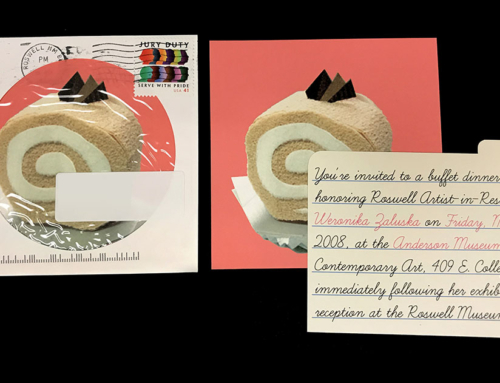 The artist isn’t particularly interested in socializing in “the business world,” and the “business person” has a tough time understanding their creative partner’s eccentric schedule and desire to attend countless art openings with free wine and cheese. But I also saw many, many relationships between artists, some more successful than others. How do you manage the children, the chores, and the day jobs when BOTH partners are artists with particular schedules and deadlines? A few couples I know are very proactive about sharing household work and childcare, as well as time away at residencies. On the plus side, when your partner is also an artist, he or she understand the need for solitude, odd work schedules, and time away at places like Yaddo or MacDowell. The key seems to be taking turns and keeping the workload as fairly distributed as possible. Two writing couples I know include residencies in their yearly schedule, with each partner taking 2-3 weeks away, while the other holds down the fort at home. Fairness is key so that resentments don’t build. But what do you do when BOTH partners have intense deadlines or need to travel? What if you can’t afford help with childcare? Who stays? Who goes?It’s a delicate balancing act, and sometimes sacrifices have to be made. It reminds me of that John Donne poem “A Valediction: Forbidding Mourning” where Donne compares two lovers who are separated to the two legs of a compass—one partner is stable and firmly rooted, while the other spins around, travels, explores, and creates, eventually returning home. The thing is, we all need a chance to do both: to be still and to explore. Having just “turned over” for publication a book I’ve written for educators about working with young poets, the bit about “saying no” to everyone when you want to “say yes” rings loudly. I’m looking around to see if I have some steadfast friends left. I think I do. Great article. That is one of the toughest challenges for me. I love people and enjoy socializing with friends, but I also love hunkering down alone in my studio and doing deep creative work without interruption. I can go nowhere for days and be perfectly content. But the swinging back and forth is hard. Suddenly being in a lively room full of people after being alone for days is just plain jarring. And I still feel guilty every time I have to say “no” to an invitation because of work demands. P.S. I’d be interested to see your book when it comes out. Congrats! I wish I could have a daily routine. My life pulls me in so many different directions, that it is incredibly difficult to do anything *every* day. These days I have to teach; these other days I might be on the road; these days I have to squeeze in household matters . . . For me, the writing has to get done in the absence of any kind of routine. Thanks for an interesting post, Michelle. I don’t think you’re alone, Evie. Modern life simply isn’t conducive to keeping a rigid creative schedule. I often think that “seasonal” or “annual” routines might be a better way of framing the discussion (since very few artists have the luxury of locking themselves in their office or studios all day, every day). We all have stretches of intense creative production and solitude (typically at residencies or in the summer when not teaching), as well as extroverted periods for “the public self” (when a book comes out, or when teaching, or attending conferences or performances). And somewhere in between we have to squeeze in family, friends, household chores, travel, and all the minutiae of daily life. The business of being an artist is often at odds with the act of creating. This is why I find Marina Abramovic’s work so interesting. She realized early in her career that she needed to cut herself off from reality to some degree in order to realize her ideal life. And yet, the demands of her creative career wouldn’t allow this. While she was drawn to the simple, scheduled life of Buddhist monks, she could never go so far as to take vows. So instead, she roped off time “away from reality” through her art. These performance pieces allow her to retreat from the onslaught of daily life in exchange for a simple, rigid, ritualistic existence, at least for a short time. And to perform this act of retreat in public is both radical, as well as an act of generosity–generosity through vulnerability and personal connection. To some degree, artist residencies are a stand-in for the ritualistic, monastic life artists like Abramovic long for. But this is the difference between taking vows as a Buddhist monk and living “in the real world.” The moments of solitude and retreat are extremely precious to us as artists precisely because they are all too rare. We all need more quality work time, but the real question is: What are we willing to give up in exchange? So, what are we willing to exchange? Or can what we exchange fuel our work? This is the crux of the matter for me, writing about and from motherhood and creativity—I exchange quiet hours uninterrupted, I get time with my family, time to cook meals, time to harvest the bounty of family life that includes illuminating arguments….and see how my identity is all of these things, both monk and mother…somehow, it soothes my ache to talk this over today. Wish we could all be real time together. Excellent points, Suzi. It’s obvious to me that your creative work comes from a place of gratefulness and contentment, instead of from a place of lack and deprivation. Gratefulness seems key to me, if we don’t want to become bitter. It sounds like you have a wonderful, supportive partner, who you fully appreciate. Lucky for both of you! But the truth is external circumstances do make it more challenging for some individuals to become artists than others. Tillie Olsen is right about that. Not every person finds the lifeline they need—that perfect mentor, teacher, etc. So it seems to me our only choice is to work within our limitations (which I covered in this article) and to help others find their creative voice as best we can. Jennifer Bowen Hicks is doing this in Minnesota with the prison writing workshops she’s created (which I wrote about recently). Her work, and the turn around of ex-convict Anthony Cardenales, shows that even prisoners have a choice in how they respond to their limiting circumstances. And art and writing can be a critical lifeline. Oh the balancing act. Michelle, this is why I love Gwarlingo so. I notice you are not calling this post a blog post. It is an article and a hefty one at that. There is so much for me in this, Tillie Olson, Grace Paley- some of my models. And the act of creative rituals, circling…this is why I doodle. It brings me in to my center. Thursdays happen to be what we call in my home Art Day. This means, and has meant for about 2 years, that this day my husband, who also works from our home, is the ‘captain of the ship’- all calls, errands, lessons, emergencies are handled by him. This is a good system, though not perfect. I am still the mother of this family and thereby, no matter how or what I have going on….my schedule is permeable…I have to remain changeable. And even though I have about the best partner on the planet, extremely supportive, collaborative and encouraging of my work…even he does not get the white heat panic I experience when someone is standing in what I wish was a closed doorway. The clock ticks and these hours flee and for the rest of the week, I have to be the open door. I am a fanatic for quiet time. I do so understand your point about socializing. I crave it and I shun it. I could go on, but mostly, thank you for making sure I remember how important these hours are for me, for my work and for my world. Good and poignant article, the endles conundrum of the artist’s life. I am maybe one of the few that has, for all intents and purposes, a totally free and “unencumbered” life. But this is not the reality, it’s just how I pretend it to be. I do not have a day job; which means I do not have any steady income, sacrifice number one. I do not have a spouse or a partner, which means I am often “lonely”, I suppose that’s sacrifice number two. As you know I am a studio artist, for the most part, and right now I do not have a real studio to work in, due to the fact that I do not have a secure income and cannot afford a decent workspace, sacrifice number three? To be honest I really don’t know how I manage it, but I do. I have not had a real jobe for many many years, at least one that lasted more than a few months. Given the amount of time I have available to work I do an amazingly small amount of actual artwork. I’m not proud of that, but it’s true. When I do get to work I tend to be fairly productive though, so maybe that compensates. I also sell a fair amount of it, but it is intermittant. I finally have a commercial gallery, which is good, but sales are spotty at best, due largely to the price the work sells at due to the gallery commission, in my opinion. Life is a challenge for most everyone, but for an artist it is amplified, in so many ways, and takes a such huge amount of one’s energy to pull off. I have the greatest admirtion for those that manage to pull it off, and some bit of jealousy, I have to admit! One reason why I plan to continue participating in National Novel Writing Month (NaNoWriMo): a jump start to that ritualistic routine. Over the years I’ve hopped from one project to the next, but each functioned completely different in their respective methods. The one I remember the most was when I worked at a hamburger joint. The 8 months that I worked there (went into college administration pretty quickly — didn’t like smelling like grease) was centered around my concept album. I’d work 6 to 8 hour shifts, 5 to 6 days a week; luckily for during the lunch hour. At 3:30, 4:00 I’d meet up with my wife for 3 hours and then head to the back room at my house. Trying to remember now, I must have been putting 8 to 10 hours, while 10 to 12 hours on my off days. The sad truth of that experience is how soon leaving the job my album got tucked away. So, I’m pleased Wallace Stevens didn’t leap — or at least to my knowledge — from job to job (don’t want to fathom how many wonderful works would have been lost to the lack of familiarity with his habits). In that respect, my works couldn’t have been created in any other moment. Michelle – Thanks for this article. I love Gwarlingo and the Sunday poets, but I especially like pieces about the process, the necessary balancing, the nitty gritty nuts and bolts of a creative life. This is why the Paris Review interviews are more popular than the stories and poems in that magazine. Lifelong artists have dealt with these questions every day of their lives, and will deal with them until the day they drop dead. So always nourishing, somehow, to read about how other people tackle the balancing act. I thought I’d put the other side: For all our sacrifices, we are incredibly fortunate to be artists. Being an artist requires bravery but that in itself brings great rewards. Creating is exciting although it has its gruelling aspects. Through our creative acts we get to exercise our freedom and enjoy an incredible degree of emotional intensity. It has it’s down sides but I wouldn’t swap my life for a more ‘normal’ one. Thanks Cherry! You and Roald Dahl both mention “freedom” being one of the primary motivations for being an artist, and I think you’re correct. For my entire working life I’ve squeezed myself into that 9-5 mold, and it never felt right. Now that I’m a freelancer, I can set my own schedule. The downside is erratic income, the need to be highly organized and disciplined, expensive health insurance, etc., but the plus side is a new-found sense of freedom I’ve never had before. For the first time in my life, I can be my “whole self,” instead of forcing myself into a “normal” job, where my work schedule is forced on me. It’s definitely a trade-off, but we shouldn’t lose sight of the benefits, freedom being chief among them. 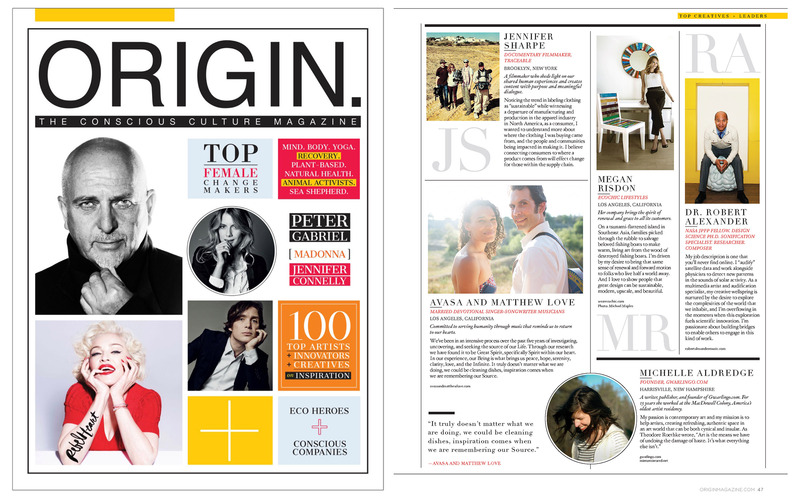 Thanks for a great article, Michelle! As a sculptor I found that every day there is a kind of hump to get over when engaging my creative work. Then I read Steinbeck’s Journal of a Novel, where he describes what I call a “loathing ritual” where he addressed a similar loathing of getting to work when he was writing “East of Eden” I think it was. What he did was this: every day he would start a letter to his editor and friend,writing longhand on the left side of a notebook, just about his daily affairs. Then after some time he would start thinking about where he was in writing his novel and would move over to the right hand side and continue his work in the same notebook. I realized it would be helpful if I had my own loathing ritual. So every day at the end of my work I try to stop right before a rather easy part and leave it for the next morning. Then when I get back to work I can start with an easy part, which usually launches me successfully into my creative day. This is one of many rituals I’ve developed to help me access my creative “Muse Culture”, so different from the normal social space we occupy daily. Years ago I was watching some local or regional Public TV show in which an author was being interviewed. He was talking about writer’s block, and how he overcame it. He said that at the beginning of his work day he would retype the last paragraph he had written, and that, once underway, he found he got into the mood of the piece, began enjoying the writing, and was able to move forward. I had been having trouble getting down to work on paintings. Lots of coffee drinking and music listening was happening, along with flipping through art books and magazines- but not much painting was getting done. All of a sudden I realized that this writer (whose name I don’t know) had given me a valuable key to the working habit. Now, when I’m ready to begin working, I look at my canvas and look for something anywhere, no matter how small, that needs doing. I pick up a brush, mix some color, and do that thing. Almost always I find the simple act of mixing a color, and applying it to canvas, is so pleasurable and interesting that I’m freshly involved and invigorated, and time floats along in absorbing work. I like Curry’s statement: “So why do it at all? First, because we can’t help ourselves: “If you are destined to become a writer, you can’t help it,” Donald Harington once said. “If you can help it, you aren’t destined to become a writer.” As a long time teacher of visual art I often found myself saying to my students: Don’t do it if you don’t have to – most people manage that and very little harm comes to them.. After deciding that, it’s constructing the discipline that is the most difficult challenge – every day.